Crony Capitalism – Page 207 – When buying and selling are controlled by legislation, the first things to be bought and sold are legislators. In the healthcare industry, a certificate of need, also known by the acronym CON, is an anticompetitive licensing restriction allegedly designed to promote fair competition by requiring hospitals to demonstrate the need for certain projects and services in order to receive governmental permission for those projects and services. Under a CON scheme, a hospital – -let’s call it Hospital X – -that wishes to expand its facilities applies to a state health planning agency for a CON. Nearby hospitals – perhaps Hospital X’s competitors, Hospital Y and Hospital Z – may oppose Hospital X’s CON application. An administrative law judge (ALJ) reviews Hospital X’s CON application and supporting evidence, holds a hearing on the matter, evaluates the parties and witnesses, and determines whether Hospital X has met the statutory criteria for the issuance of a CON. These criteria differ from jurisdiction to jurisdiction. 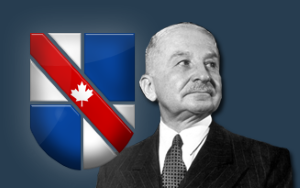 This post was published at Mises Canada on October 8th, 2014. Last week I described the sources of America’s America’s terminal political dysfunction. The engine of this terminal dysfunction is crony capitalism, the incestuous and oh-so-profitable marriage of the Central State and monied Elites. Gordon argues that America’s Crony Capitalism closely resembles the Roman Tribute System, an arrangement that skims wealth and concentrates it at the top of the power pyramid. Vast financial crimes are met with fines. Guilty parties do not go to jail but rather the corporation pays a fine. Billion-dollar crimes are assessed million-dollar fines– a percentage that closely mirrors a Tribute System. The government makes money through enforcement but not prevention. Corporations make illicit fortunes with the confidence that the government will settle for a small slice of the wealth stripmined from the people. This post was published at Charles Hugh Smith on SUNDAY, OCTOBER 05, 2014. Monsanto’s business model is falling apart right in front of their own face, because the biotech firm blatantly disrespects the property rights of farmers, contaminating their fields with unauthorized genetically modified seeds. These unapproved GMO seeds inevitably cross-contaminate farmers’ fields, effectively destroying their yields. 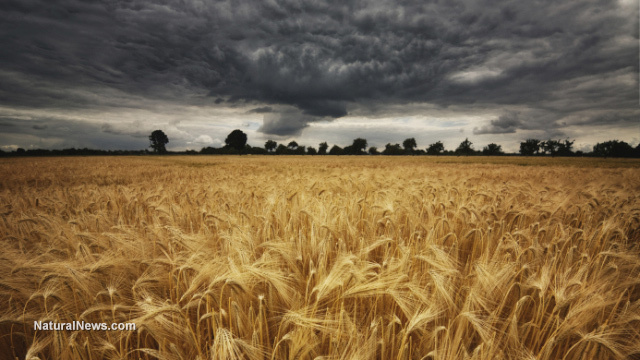 That’s exactly what happened in Oregon last year when some unauthorized “zombie wheat” from the Monsanto Company went from the lab and intermixed with a farmer’s natural wheat. The debacle disrupted wheat exports as Japan and South Korea blocked shipments. A contingency of farmers have joined forces and sued Monsanto. This post was published at Natural News on Monday, October 06, 2014. The NFL is running one of its own games on the public, and as one of the most subsidized non-profit organizations in American history, the NFL excels at tackling the American taxpayer. It should be of no surprise that with its religious-like following, the NFL receives the same tax-exempt status as a church, exempted under the IRS 501 (c) 6 code from paying federal taxes. The legislation puts the NFL as a non-profit trade association which it has been under since 1942. But over the past twenty years, 101 new sports facilities have opened in the United States – a 90-percent replacement rate – and lately there has been a rising tendency for renovation costs to skyrocket into the hundreds of millions, which, according to Harvard University urban planning professor Judith Grant Long, the taxpayer foots on average 70 percent of the bill, with often not a penny coming out of the pockets of the team or its owners. The rest of the funding comes from tax-exempt municipal bonds supported under the G4 stadium loan program, which provides loans in return for revenue generated from ticket sales and premium seating. As is the case with ‘too big to fail’ financial institutions, the NFL is given politically-favored status, and protected by a trench of antitrust exemptions. But unlike the overpaid (read: taxpayer-subsidized) CEOs of Goldman Sachs and Chase Bank, NFL commissioner Roger Goodell earns twice as much as them, thanks to an NFL flush with taxpayer cash. Goodell earned more than $44 million in 2013, and in the past five years he has made over $105 million. This post was published at Ludwig von Mises Institute on Friday, October 03, 2014. During the last year or two a passel of crony capitalist hucksters led by hedge fund operatives Bruce Berkowitz and Bill Ackman have been attempting to pilfer upwards of $40 billion from US taxpayers via a raid on Fannie Mae and Freddie Mac. Kudos to US District Judge Lamberth whose Tuesday ruling stopped them cold. And don’t shed a tear for the hedge fund boys. Notwithstanding the collapse shown below, the FNMA stock plunge still has more to go; its real value is bubkis – just like their claims. Like in so many other cases during the post-crisis aftermath, these hedge funds scooped-up the worthless preferred and common stock of Freddie and Fannie – -expecting these penny stocks to soar as the Fed’s tsunami of liquidity rekindled speculative appetites and its free carry trade financing buoyed the markets for risk assets. In this particular case, the potential jackpot was to be powerfully augmented by an expected legislative or judicial ruling that owners of these beaten down equities were entitled to their pro rata share of the surging but entirely phony profits of Freddie and Fannie. To its credit, the Obama administration had previously recognized that absent Uncle Sam’s bailout of the roughly $6 trillion of Freddie/Fannie mortgage guarantees and debentures, the junior equity securities in their capital structures would have been worthless. In fact, at the time Freddie/Fannie were essentially nationalized by the Bush Administration in September 2008, the thin layer of equity represented by these shares had been leveraged at approximately 100X, and would have been obliterated in a proper bankruptcy. Accordingly, the Obama folks had simply decided to treat the remnants of Freddie/Fannie as a wholly owned government investment fund, and swept 100% of the book profits posted each quarter. This post was published at David Stockmans Contra Corner on October 2, 2014. The way to preserve great wealth is to buy political protection of that wealth. The way to protect great political leverage is to grease the machinery of governance with cash. I confess that reading Francis Fukuyama’s latest cri du coeur in Foreign Affairs, America in Decay: The Sources of Political Dysfunction made me think Mr. Fukuyama has either been reading or channeling Of Two Minds.com , as his brutal assessment of America’s terminal political dysfunction reflects many of the themes I’ve been hammering on for the past 9 years. Unfortunately for his readers, Mr. Fukuyama stops short of identifying the key dynamic in America’s dysfunction: the exhaustion of Central Planning and centralized government as a “solution” for every ill. Despite his failure to cross the goal line and put truly incisive points on the scoreboard, Mr. Fukuyama does the nation a valuable service in cogently describing the dynamics of our terminal political dysfunction. Fukuyama describes the inevitable end-game of money capturing the political machinery of the central state: every big-bucks lobby/constituency has veto powerover Federal policies and budget priorities. In effect, every lobby can veto any initiative that crimps their power or share of Federal swag. As a result, any serious reform that causes financial-political pain is soon reduced by entrenched interests to a toothless public-relations shell: the shell will still carry an idealistic-sounding label (“financial reform,” etc.) but the machinery of governance is unchanged. This post was published at Charles Hugh Smith on THURSDAY, OCTOBER 02, 2014. Wall Street’s crime spree has been coming at the public for the past six years like a geyser spewing from a broken water main. It’s been tough for the public to keep tract of the twists and turns, and equally so for Congress. 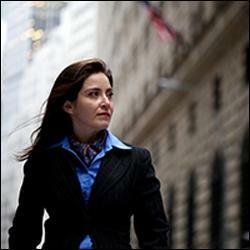 What has been lost in all the media frenzy over the tapes released by Carmen Segarra, an attorney and bank examiner at the New York Fed who was fired for wanting to hold Goldman Sachs accountable, according to her lawsuit, is that four other regulatory lawyers have stepped forward from 2006 to earlier this year to report that their Wall Street regulator has been captured. In the case of those four, the captured regulator is the Securities and Exchange Commission. When you have five Wall Street insiders with law degrees telling you that Wall Street regulators are not upholding the laws they are mandated to enforce while the nation is still struggling to recover from an epic financial crash this corrupt cronyism produced just six years ago, it’s time to allow the public to hear directly from all of these voices at one Senate witness table. This post was published at Wall Street On Parade on October 1, 2014. While the President was comparing ISIS terrorists to the Jayvee squad, US intelligence officials were warning that the threat was real and imminent, according to the head of the House Intelligence Committee. Chairman Mike Rogers (R-Mich.) issued a statement Monday that directly contradicts Obama’s comments on in an interview Sunday, where the President suggested that an intelligence failure was to blame for the ‘underestimation’ of the rise of the ISIS group. ‘For over a year, U. S. intelligence agencies specifically warned that ISIL was taking advantage of the situation in Syria to recruit members and provoke violence that could spill into Iraq and the rest of the region,’ Rogers urged, using an alternate acronym for the group. ‘This was not an Intelligence Community failure, but a failure by policy makers to confront the threat,’ Rogers also noted. This post was published at Info Wars on SEPTEMBER 30, 2014. The drug industry has come up with yet another phony mental illness that it says afflicts as many as 2 million children: “Sluggish Cognitive Tempo,” or SCT, one of the most ridiculous counterfeit diseases yet. 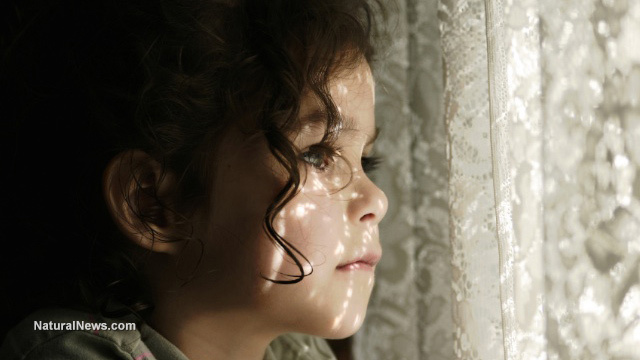 According to a description of the “disease” published in the Journal of Abnormal Child Psychology, children with SCT are basically daydreamers, which Big Pharma is now using as a catch-net classification for children who can’t be declared as having attention-deficit hyperactivity disorder (ADHD). 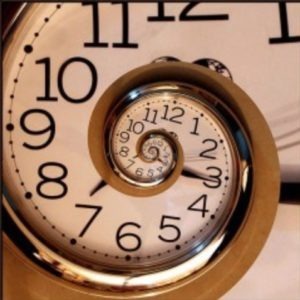 The emergence of SCT comes as parents, medical professionals and child psychologists increasingly question the validity of the millions of ADHD diagnoses that are really just cases of kids being kids. In order to keep these children drugged up and the cash flowing, the psychiatric and drug industries basically invented SCT as a fallback. In other words, when an ADHD diagnosis doesn’t fly, declare the child to have SCT. Many of the children currently diagnosed with ADHD don’t exhibit actual signs of hyperactivity, for instance. And yet some of them aren’t performing in school as well as their teachers or parents would like, which in years past may have been enough to make an ADHD diagnosis. But the public is wising up to the scam, hence the invention of SCT. This post was published at Natural News on Tuesday, September 23, 2014. As things get dicier globally, assets in periphery nations typically get dumped as mobile capital flees risk and migrates to lower risk core nations and currencies. I received many thoughtful comments on Why the Dollar May Remain Strong For Longer Than We Think. Given the many weaknesses of the U. S.–ballooning social-welfare and crony-capitalist liabilities, free money for financiers monetary policies, etc.–a strengthening dollar (USD) strikes many as counter-intuitive. The dynamic complexities of fiscal and monetary policies, global capital flows and the foreign exchange (FX) market complicate any inquiry, so I try to keep it simple. In my view, the USD serves both transactional (global trade) markets and the global need for currency reserves (i.e. as a store-of-value). Sorting out the various influences on its relative value in each capacity is complex enough, but there is also the X Factor–the hard-to-quantify components of any currency’s relative value. For the USD, the X Factor is hegemony, which includes financial dominance based on debt issued/denominated in USD and what might be called the real-world assets of the issuing nation: that nation’s food, energy and water security (what I call the FEW resources), its proximity to potential enemies, its external environmental costs, its overseas financial assets, the strength of its legal system in protecting private assets, its demographic profile and of course its ability to project power to defend its interests. By these basic measures, the U. S. scores pretty well. We can get some perspective on this by putting ourselves in the shoes of wealthy people in periphery nations where the risks of capital controls, currency devaluation, etc. are perceived to be high, or in the shoes of corrupt elites in countries where they fear their ill-gotten gains might not survive blowback (hence the almost universal desire of elites to leave China with their loot). This post was published at Charles Hugh Smith on SUNDAY, SEPTEMBER 21, 2014. Is the UK a ‘Nation by Consent’? For libertarians, the politics surrounding both sides of the vote are suspicious. The globalist banking class, ever fearful of decentralization of power, warns that Scotland needs Westminster’s economic assistance (read: welfare), Westminster’s military might, and Westminster’s currency. 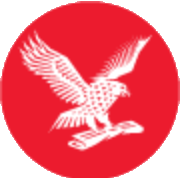 The largely socialist Scots, meanwhile, argue for a more ‘egalitarian’ society administered by Holyrood and a new alliance with their more enlightened fellow travelers in Brussels – leaving one master for another. As always, libertarians should focus on first principles. Murray Rothbard’s 1993 essay,’Nations by Consent: Decomposing the Nation-State,’ does just that. Rothbard asks the correct questions: What is a nation? What makes a nation legitimate? Are nation-states needed for collective security? When is secession allowed? Should open borders and open immigration be allowed? How should citizenship and voting rights be conferred? How would a completely private, anarcho-capitalist country operate? These are the questions we must ask and answer as we argue against the state, against central banks, and against an increasingly global crony political class. Libertarians tend to focus on two important units of analysis: the individual and the state. And yet, one of the most dramatic and significant events of our time has been the re-emergence – with a bang – in the last five years of a third and much-neglected aspect of the real world, the ‘nation.’ When the ‘nation’ has been thought of at all, it usually comes attached to the state, as in the common word, ‘the nation-state,’ but this concept takes a particular development of recent centuries and elaborates it into a universal maxim. In the last five years, however, we have seen, as a corollary of the collapse of communism in the Soviet Union and in Eastern Europe, a vivid and startlingly swift decomposition of the centralized State or alleged nation-State into its constituent nationalities. The genuine nation, or nationality, has made a dramatic reappearance on the world stage. This post was published at Ludwig von Mises Institute on September 18, 2014. Which nation with aspirations of global dominance (i.e. hegemony) has these attributes? 1. The nation’s recent prosperity is based on a vast expansion of credit. 2. The nation has 100 million obese/diabetic citizens. Hmm, sounds like the U. S. is a match so far…. Let’s add a few more attributes: 6. The nation’s credit expansion has relied on a largely unregulated shadow banking system. 7. The nation is in the midst of an unprecedented housing bubble. 8. The nation is beset with unprecedented “external” environmental costs as a result of rapid and largely unregulated industrialization. 10. Over half the nation’s monied Elites have either left the nation or plan to leave and transfer their financial wealth overseas. This post was published at Charles Hugh Smith on WEDNESDAY, SEPTEMBER 17, 2014. Resurrection, reinvention and linguistics. Barack Obama did the lot. And now he’s taking America to war in Syria as well as Iraq. Oh yes, and he’s going to defeat Isis, its “barbarism”, “genocide”, its “warped ideology” – until the bad guys are “vanquished from the earth”. What happened to George W. Bush? But let’s go through this with a linguistic comb. First, Obama is going to resurrect the Sunni “Awakening Council” militias – a creature invented by a certain General David Petraeus – who were paid to fight al-Qaeda by the Americans during the U.S. occupation of Iraq, but who then got blasted by al-Qaeda and betrayed by the Shia-dominated Iraqi government. Obama has even invented a new name for these militias: he called them “National Guard Units” who will “help Sunni communities secure their own freedom from Isil”. National Guard indeed! Then there’s the reinvention of the “moderate” Syrian opposition which was once called the Free Syrian Army – a force of deserters corrupted and betrayed by both the West and its Islamic allies – and which no longer exists. This ghost army is now going to be called the “Syrian National Coalition” and be trained – of all places – in Saudi Arabia, whose citizens have given zillions of dollars to al-Qaeda in Iraq, Isis, Isil, IS (you decide on the acronym), Jabhat al-Nusra and sundry other bad guys whom Obama now wants to “vanquish from the earth”.